- Guaranteed Engine Protection: tested to the ISO 5011 Filtration Standards. S&B Filters Cold Air Intake Filter Kits are all about improving your vehicle's engine performance. It's just a matter of exceptional design. State-of-the-art engineering maximizes airflow while providing a fit that rivals stock. Great looks are just the beginning. S&B Cold Air Intakes are easy to install providing you with an OE fit and aftermarket performance. A mountain of dust and S&B's 1/2 million dollar lab is how far we've gone to make sure your engine is protected. Designed with a secondary inlet, further resulting in even better airflow. a silicone plug is included for those who prefer to pull in air only from the fender inlet. 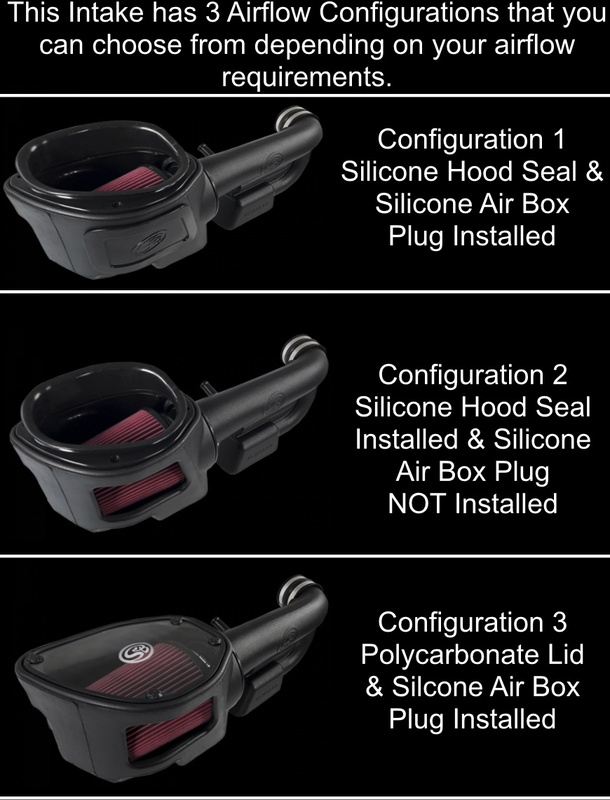 S&B one piece air box design features an integrated box seal that keeps out unwanted engine heat. The cooler the air, the greater the density, resulting in better performance. S&B intake tubes are designed for smooth air flow and less restriction. Fits like stock and performs to our highest standards. More efficient use of stock air box space allows for a larger filter. Silicone is a premium rubber that can withstand temperatures up to 400° F and won't crack or tear with age. It's tough yet elastic enough to stretch, then snap into a perfect seal. That's why S&B used silicone to build this kit's filter, inlet, coupler, and tube sleeve. 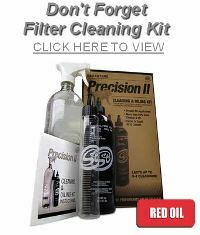 Just pop your hood and know when its time to service your filter thanks to S&B signature clear lid. Custom molded for strength and to accommodate for a huge filter. 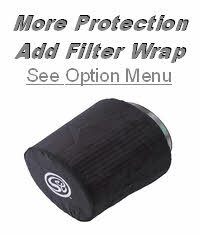 The lid shields the filter from engine heat and debris for better performance and longer filter life. Providing our customers with high quality products is an obsession of ours, so you only get the best components when buying S&B. S&B air filters and intake kits purchased from Authorized Dealers are backed by S&B’s Million Mile Limited Warranty when used under typical driving conditions and on vehicles for which they were designed. If one of our products is not performing properly or is defective, S&B will replace it. What is not covered by the S&B Warranty- If you use an S&B product for (1) any type of racing or competitive event (2) any off-road use, (3) custom or modified product, (4) any industrial or marine applications, and/or (5) any illegal highway use. If an S&B product is not covered by our million mile warranty, our products are still warranted against manufacturing defects for one year from the date of purchase.